The Communist Workers' Party (CWP) was a Maoist group in the United States. It had its origin in 1973 as the Asian Study Group (renamed the Workers' Viewpoint Organization in 1976) established by Jerry Tung, a former member of the Progressive Labor Party (PLP)  who had grown disenchanted with the group and disagreed with changes taking place in the party line. The party is mainly remembered as the victim of the Greensboro Massacre of 1979. The Progressive Labor Party (PLP) is a Marxist–Leninist political party based primarily in the United States. It was established in January 1962 as the Progressive Labor Movement following a split in the Communist Party USA, adopting its new name at a convention held in the spring of 1965. It played a vocal role in the anti-Vietnam War movement of the 1960s and early 1970s through its Worker Student Alliance faction of Students for a Democratic Society. 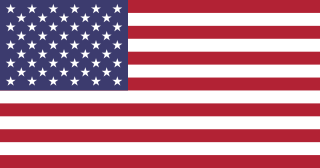 Following the end of American involvement in Vietnam, the PLP emerged as one of the leading anti-revisionist communist organizations in the United States. The PLP publishes a weekly newspaper called Challenge. The CWP followed the policies of Mao Zedong and Joseph Stalin. The CWP also incorporated aspects of the CPUSA's anti-racist pre-Popular Front program. In particular the CWP emphasized unionization and self-determination for African Americans. Black nationalism is a type of nationalism or pan-nationalism in the United States that seeks to promote, develop and maintain a black national identity for people of black ancestry. The Birth of a Nation is a 1915 American silent epic drama film directed and co-produced by D. W. Griffith and starring Lillian Gish. The screenplay is adapted from the novel and play The Clansman, both by Thomas Dixon Jr., as well as Dixon's novel The Leopard's Spots. Griffith co-wrote the screenplay with Frank E. Woods, and co-produced the film with Harry Aitken. It was released on February 8, 1915. The American Nazi Party (ANP) is a far-right American neo-nazi political party founded by George Lincoln Rockwell with its headquarters in Arlington, Virginia. Rockwell founded the organization as the World Union of Free Enterprise National Socialists (WUFENS), but renamed it the American Nazi Party in 1960. Since the late 1960s, a number of small groups have used the name "American Nazi Party" with most being independent from each other and disbanding before the 21st century. The party is based largely upon the ideals and policies of Adolf Hitler's Nazi Party in Germany during the Nazi era, and embraced its uniforms and iconography. Shortly after Rockwell's assassination in 1967, the organization appointed Rockwell's second in command, Deputy Commander Matt Koehl as the new leader. The American Nazi Party, now under Koehl's command, was subject to ideological disagreements between members in the 1970s and 1980s. "In 1982, Martin Kerr, a leader at the Franklin Road headquarters, announced that the organization was changing its name to the New Order and moving to the Midwest," effective January 1, 1983. Due to recruitment issues along with financial and legal trouble, Koehl was forced to relocate the group's headquarters from the DC area, eventually finding his way to scattered locations in Wisconsin and Michigan. After Koehl's death in 2014, long-time member and officer of the New Order, Martin Kerr assumed leadership and maintains the New Order website and organization. The Gang of Four was a political faction composed of four Chinese Communist Party officials. They came to prominence during the Cultural Revolution (1966–76) and were later charged with a series of treasonous crimes. The gang's leading figure was Jiang Qing. The other members were Zhang Chunqiao, Yao Wenyuan, and Wang Hongwen. Snuff is a 1976 American splatter film directed by Michael Findlay and Horacio Fredriksson. It is most notorious for being marketed as if it were an actual snuff film. This picture contributed to the urban legend of snuff films, although the concept did not originate with it. ↑ Kwong, Peter and Dušanka Miščević. Chinese America: The Untold Story of America's Oldest New Community. New York: New Press. 2005. ISBN 1-56584-962-0. pp. 293-296. 1 2 3 "Remembering the 1979 Greensboro Massacre: 25 Years Later Survivors Form Country's First Truth and Reconciliation Commission". Democracy Now. November 18, 2004. Retrieved 2009-08-15. ↑ Klehr, Harvey. "Maoists Move in on Manhattan Dems." Our Town, 2 August 1987. ↑ "Degenerate Culture & the Women's Question". Workers Viewpoint. 1 March 1976. Retrieved 24 November 2017. Articles on the Ku Klux Klan and the Communist Workers Party from The New York Times . The extent to which socialism plays a part in modern New Zealand politics depends on which definitions of socialist are used, but few mainstream politicians would describe themselves using the word "socialist". The term "social-democrat" is more common, but the more general "left-wing" or "centre-left" are used far more frequently. New Zealand has a complicated assortment of socialist causes and organisations. 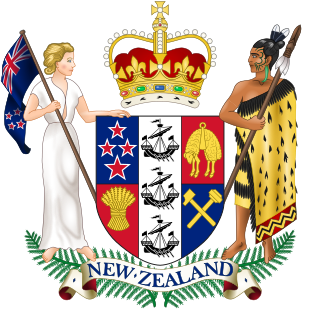 Some of these play a considerable role in public activism—some commentators claim that New Zealand socialists are more prominent in causes such as the anti-war movement than in promoting socialism itself. Other groups are strongly committed to radical socialist revolution. 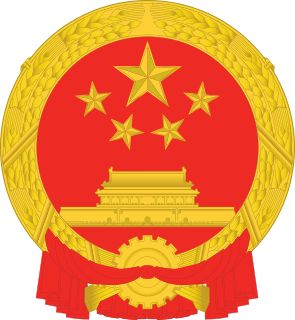 The New Left in the People's Republic of China is a school of political thought that is critical of capitalism and aspects of the Chinese economic reforms and in favour of elements of Maoist-style socialism, which includes a significant role for state planning, the preservation of state-owned enterprises, and a renewed spirit of collectivism. It is also correlated with increased Chinese nationalism after a period of 'low-profile' presence on the world stage during Deng Xiaoping's era. It is seen as a response to problems faced by China during its modernization drive since the 1980s, which has led to mounting social inequality between the coast and the hinterlands, as well as between the rich and the poor. 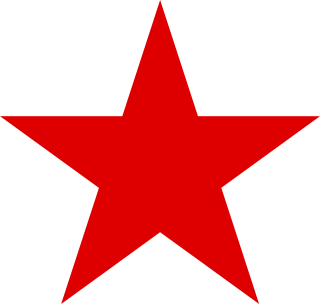 The Organization for the Reconstruction of the Communist Party of Greece, mostly known by its acronym OAKKE, is a minor Greek political party known for its strong anti-Russian positions. The Greensboro massacre is the term for an event which took place on November 3, 1979, when members of the Communist Workers' Party and others demonstrated in a "Death to the Klan" march in Greensboro, North Carolina, United States. The CWP, which advocated that Klan members should be "physically beaten and chased out of town", exchanged gunfire with members of the Ku Klux Klan and the American Nazi Party. The CWP and supporters had handguns while KKK and Nazi Party members are visible on news footage from the event getting rifles from a car trunk and opening fire on CWP members. Four members of the Communist Workers' Party and one other individual were killed, and eleven other demonstrators and a Klansman were wounded. The CWP supported workers' rights activism among mostly black textile industrial workers in the area. The New Communist Movement (NCM) was a political movement of the 1970s and 1980s in the United States. The term refers to a specific trend in the U.S. New Left which sought inspiration in the socialist revolutions such as the Russian Revolution, the Chinese Communist Revolution, and the Cuban Revolution, and wanted to do so independently of already-existing U.S. communist groups. In political ideology, a deviationist is a person who expresses a deviation: an abnormality or departure. 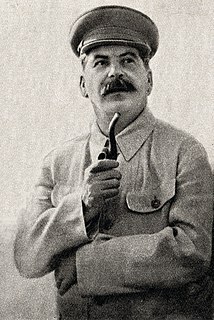 In Stalinist ideology and practice, deviationism is an expressed belief which does not accord with official party doctrine for the time and area. Accusations of deviationism often led to purges. Forms of deviationism included revisionism, dogmatism, bourgeois nationalism, and rootless cosmopolitanism. In the People's Republic of China since 1967, the terms "ultra-left" and "left communist" refers to political theory and practice self-defined as further "left" than that of the central Maoist leaders at the height of the Great Proletarian Cultural Revolution (GPCR). The terms are also used retroactively to describe some early 20th century Chinese anarchist orientations. As a slur, the Communist Party of China (CPC) has used the term "ultra-left" more broadly to denounce any orientation it considers further "left" than the party line. According to the latter usage, the CPC Central Committee denounced in 1978 as "ultra-left" the line of Mao Zedong from 1956 until his death in 1976. This article refers only to 1) the self-defined ultra-left of the GPCR; and 2) more recent theoretical trends drawing inspiration from the GPCR ultra-left, China's anarchist legacy and international "left communist" traditions. Union of Iranian Communists was an Iran Maoist organization. UIC (S) was formed in 1976 after the alliance of a number of Maoist groups carrying out military actions within Iran. The group prepared an insurrection starting in 1981, but it was dismantled by 1982. The United Front in China is a popular front of the legally permitted parties in the country, led by the Communist Party of China (CPC). Besides the CPC, it includes eight minor parties and the All-China Federation of Industry and Commerce. It is managed by the CPC Central Committee United Front Work Department. Its current department head is You Quan. The member parties of the Front are completely subservient to the CPC, and must accept the "leading role" of the CPC as a condition of their continued existence. The mass line is the political, organizational and leadership method developed by Mao Zedong and the Chinese Communist Party (CCP) during the Chinese revolution. The essential element of the mass line is consulting the masses, interpreting their suggestions within the framework of Marxism-Leninism, and then enforcing the resulting policies. Marxism–Leninism–Maoism, formerly known as Marxism–Leninism–Mao Zedong Thought, is a political philosophy that builds upon Marxism–Leninism and some aspects of Mao Zedong Thought which was first formalised in 1993 by the Revolutionary Internationalist Movement. The Greensboro Truth and Reconciliation Commission was established in 2004 based on the events of November 3, 1979. On that date, the Communist Workers Party (CWP) led by Robert Johnson gathered at the Morningside Homes in Greensboro, North Carolina, to protest for social and economic justice along with protesting against the Ku Klux Klan (KKK). The chant that united the 40–50 protesters was “death to the Klan”. Shortly after 11 am, a nine-vehicle convoy that contained 37 members of the KKK and the American Nazi Party arrived. After a short skirmish, the KKK and American Nazis retrieved their firearms and 88 seconds later, five protesters lay dead and ten others were wounded. During the marking of the 20th anniversary of the events that became known as the “Greensboro massacre”, the idea was raised to bring closure and to bring to light the truth to the events of November 3, 1979. Within five years, The Greensboro Truth and Reconciliation Commission was formed by mainly private and local donations. The seven commissioners in 2006 released their report, which condemned not only the KKK and the American Nazi Party, but also the Greensboro Police Department and the city itself for being responsible for the events of November 3, 1979, and the subsequent cover-up. Antifa movements and Anti-Fascist Action networks are militant groups that describe themselves as anti-fascist. Such movements have been active in several countries in the second half of the 20th and early 21st century.